Here is a final post to conclude a theme begun and inspired by a speaking engagement for the Service Children’s Support Network’s Annual ‘Early Years’ Conference in October 2013. 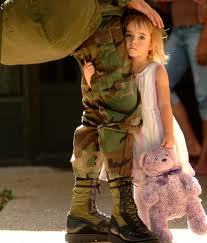 How does deployment impact upon young children, on families, on relationships? What can be done to foster greater resilience so that the much longed-for home-coming of the deployed parent is harmonious, blessed with good will and an abundance of love and affection? I referenced this quotation from Human Instinct in my first post and return to the theme again. Much that we are blessed with a genetic inheritance that is all about ‘survival’, actually, what we want in our children is something more than mere survival. We need to be sure that young children impacted by deployment move from mere survival to flourishing emotionally, physically, intellectually. As a mother of a serving member of the Armed Forces, with a son about to embark on his second deployment to Afghanistan, I comment from a professional and personal perspective. There is little that is good about the loss to deployment of a parent, (or a son or daughter), but it is a reality, and, we must not forget, a chosen way of life. I spoke of ‘Hidden Voices’, the views of those left behind, and the complex pyschological drama that is played out behind the scenes, by the wives and partners of those embarking on deployment. There is a stoicism, a united front morale, that lays seige to unwelcome interference, and also makes it hard to determine, sometimes, what is the real need to be addressed here, in this family, in this community? Suffering in this context, is almost preferable to moving beyond the suffering. Community Covenants complement at a local level the work of the Armed Forces Covenant of June 2011, and are a pledge between a civilian community and its local armed forces community of mutual support. 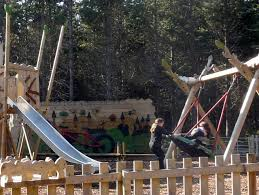 I am impressed by the passion and conviction of some hard-working and determined individuals to make good the Community Covenant and build or develop existing shared facilities, including community play areas, to support communities and harmonious family life. Given the relative infancy of Community Covenants, it will be good to see how these impact on fractured communities, in the coming years. Child Trends – http://www.childtrends.org/ commissioned a study (US) entitled Home Front Alert: the Risks Facing Young Children in Military Families. The author, David Murphey, comments that this group of children are facing numerous emotional obstacles that could develop into more serious long term issues. As many as half a million American children face the elevated risk for emotional problems, particuarly anxieity issues. David Murphey, Home Front Alert, July 2013. As always, fore-warned is fore-armed and the more attuned parents and professionals can be to recognizing early warning signs that something is not quite right, the greater the opportunity to make amends. Features of the effect of prolonged periods of stress on young children range from temporary, transitory behavioural and emotional problems, to at the extreme end of the spectrum, more complex and long-term difficulties. Conscious of seeming too bleak in my assessment of the risk factors, of Service life and the impact of deployment, I am keen to consider also the wealth of knowledge and research that has given rise to some excellent practice both in the UK and overseas, and by that, I mean, predominantly the US. From this, we may come to recognize more readily features of Service life for families, that fosters resilience, that is an on-going protective force that safe-guards children and young people. I am impressed by the comprensive work of Martin Seligman on optimism, motivation and character. His book, “Flourish – a new understanding of happiness and well-being and how to achieve them” I have referenced often in work on emotional health and well-being. I was not aware previously, however, that Seligman has been involved extensively with the US Military devising programmes and assessments that determine the pyschological well-being of serving soldiers and their families. The Global Assessment Tool (GAT) is a survey tool through which individuals are able to confidentially assess their physical and psychological health based on four of the five dimensions of strength: social, emotional, family, and spiritual fitness. I am much taken with the guidance, knowledge and insights provided in the Help for Heroes’ Annual Report, 2012 –http://www.helpforheroes.org.uk/how-we-help/about-us/annual-reports/ – which is far more than just the reporting of accounts and regulations. It is quite remarkable in its breadth and insight. 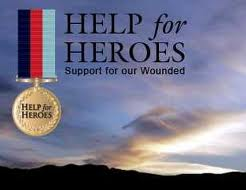 We are truly blessed to have the foresight of the founders of Help for Heroes and the on-going support of so many as this organization develops to meet the needs of a growing number of injured service personnel.